We were so happy to be a part of the 4th annual car show this last weekend. The donation basket went to a classic Lincoln Continental with suicide doors and only 39,000 miles. The owners of the car where extremely nice people and very excited about the Idaho® Potato Drop prize. Congratulations! New Year is one of the most special celebrations, with one of the best things about New Year’s Eve being the fact that it is celebrated and enjoyed all over the globe. Everyone, regardless of their background, can enjoy great food, good company, awesome parties, magical firework shows, live entertainment, and more as they ring in the New Year in style, and there are many different forms of New Year celebration enjoyed all around the world. One of the most iconic images of New Year’s Eve is the Times Square ball drop in New York City, in which a large time ball is lowered down the spire on the roof of One Times Square to symbolize the ending of an old year and the beginning of a new one. 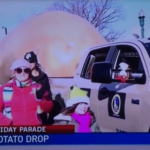 The Big Apple has its ball drop, but Boise, Idaho has a drop of a different kind: a potato drop. 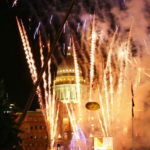 The Idaho Potato Drop is a special and completely unique New Year celebration that only takes place in the city of Boise. It’s been running since 2014, initially at the US Bank Building and then at the Idaho State Capitol building. 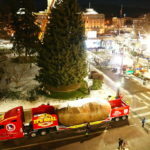 Despite only being a recent innovation, the Idaho Potato Drop has charmed the city of Boise and become a hugely popular moment on the city’s calendar. 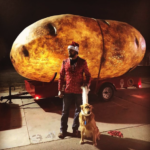 Fully free to attend, this special event lets Boise citizens and visitors to the area enjoy a New Year’s Eve they’ll never forget, complete with food, drinks, live entertainment, fireworks, and more, culminating with the dropping of the eponymous potato itself. 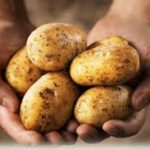 Running from 3pm through to 1am in the city of Boise, the Idaho Potato Drop is one of the best annual events in the state. 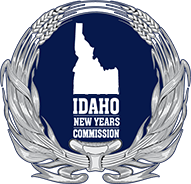 While the ball drop event over in Times Square, NYC, is mostly centered on the dropping of the actual ball, with a lot of waiting around beforehand, the Idaho Potato Drop offers a full party experience, with lots of fun things to see and do all around Downtown Boise. Various parks and stages will be set up at the event offering live entertainment, activities, food, and drinks for people of all ages to enjoy. There’s a family area, a VIP area for those who have chosen to pay for a VIP ticket, a main stage with headline musical acts, a snow park with all sorts of frosty winter fun activities, a wrestling ring, and so much more. 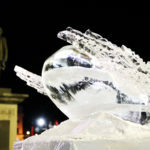 The evening will also include the titular dropping off a gigantic potato over the State Capitol building and an incredible fireworks show, as well as a rail jam. It’s a huge, bombastic event with so much to offer, sure to live long in the memory and provide you and your family with lots of smiles and excitement. In short, it’s one of the very best ways you could ever hope to spend a New Year’s Eve. 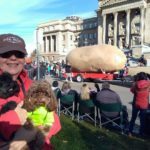 The Idaho Potato Drop is fully free to attend, but it does rely on funds raised through sales of merchandise and VIP tickets, as well as sponsorships, in order to survive and offer the best experience possible for everyone. 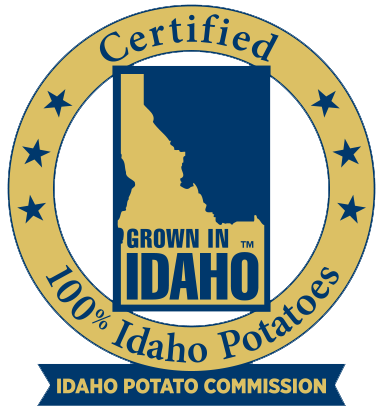 If you’d like to give something back to the organizers of the Idaho Potato Drop while also enjoying exclusive shows and services that the general public won’t have access to, you might want to invest in an Idaho Potato Drop VIP ticket. With this ticket in your hands, you’ll be able to enjoy full VIP treatment and care for every single stage of the amazing potato drop experience. You’ll gain access to the VIP room, enjoying 360 degree views of the event from a covered, sheltered location, while also being able to enjoy acoustic, exclusive shows from some of the event’s best musical acts. 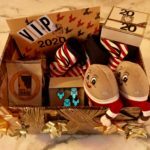 Not only that, but your VIP pass for the Idaho Potato Drop will also let you enter an exclusive raffle with the chance to win some crazy prizes, so it’s definitely worth the money if you want to enjoy a magical New Year’s Eve. 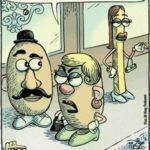 Those skinny French Fries, they get all the salt! National Wear Red Day is on February 1st! On this day, a wave of red from coast-to-coast will unite millions of people for a common goal: the eradication of heart disease and stroke, our nation’s number one and number five killers. Join us by wearing red and sharing your photo on social media using the hashtag #IdahoGoesRed. 15 days away, but who’s counting? We will be out at Albertsons’s Stadium to promote and help with Channel 7 cares this Sunday. It is a wonderful cause and a great event. We hope to see you there. All donations welcome! The best part of this time of year is giving. Any amount of money or food helps. Who likes Christmas? We Do We Do! Please join us this Friday at 6:30 PM for the Meridian Winter Lights Parade. We will be lighting up the big Glowtato for the show! It is a fun parade for the whole family! 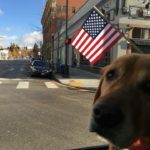 Mayor Tami will be there to help add some Christmas cheer. Look out for us on Monday! We might have a surprise coming!!! Make sure to check us out.